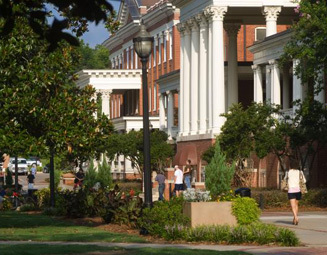 Georgia College is a public, coeducational, residential liberal arts university located in the center of the state in the beautiful historic city of Milledgeville. Georgia College is a public, coeducational, residential liberal arts university located in the center of the state in the beautiful historic city of Milledgeville. The main campus includes 43 acres in the downtown area, within walking distance to many restaurants and specialty shops. The West Campus houses sports fields and student apartments, and the East Campus with Lake Laurel hosts the outdoor education program. Graduate programs are also offered at the Georgia College Macon Center for Graduate and Professional Learning in the heart of downtown Macon. The institution is recognized as one of the best universities in the region, ranking among the top in the southeast in the public master's university category according to US News and World Report. Georgia College also ranks as "A Best in the Southeast" college by The Princeton Review in its survey of colleges and universities in the region. Classes are small, enrolling between 15 and 35 each, and student-teacher interaction is a focus of the university. 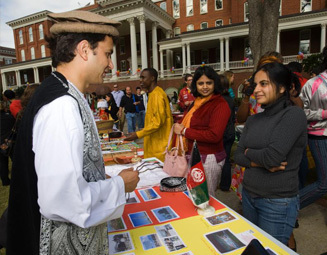 More than 50 different countries are represented on campus, and the closely-knit international student community is an important part of the fabric of Georgia College as it actively shares its knowledge of the world with other students and members of the larger community. 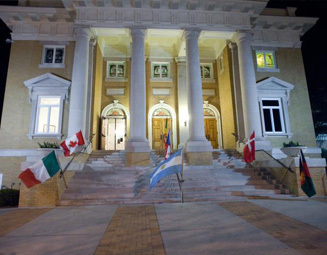 The university offers abundant services for international students including a fully-staffed International Education Center, an active International Club, annual International Week and International Dinner celebrations, and a "Connections" friendship program which links students to faculty and community members. Georgia College also offers financial aid to international students. International undergraduate and transfer students are eligible to apply for the International Student Scholarship, and after matriculation may also apply for alumni and foundation scholarships, including the Global Scholars Fund and the Hoy Taylor Scholarship. Athletic Scholarships are also available, and graduate students may apply for a variety of assistantships. Many support services are available including the Learning Center Tutoring programs, the Writing Center and Counseling Services. Georgia College offers an ESL support class to undergraduate international students. This course is required for applicants whose TOEFL/IELTS scores fall within a certain range and is taken concurrently with other regular academic courses. Please refer to admission requirements. GC does not offer a full intensive English Language program. Applicants must meet the minimum TOEFL/IELTS scores for admission. Georgia College offers a number of choices for on-campus living, from suite-style residence halls on main campus to apartment-style living at The Village. All offer full amenities including high-speed Internet connection, safety features and state-of-the art fitness and recreational facilities, along with a shuttle system providing easy access to campus and shopping. Visit the University Housing site for complete details. Students can participate in one of seven vibrant Residential Learning Communities centered around different themes that connect students and faculty advisers to facilitate learning outside the classroom. Many international students choose to live in the Casa Mondo community which brings together students from diverse backgrounds to share their cultures and develop intercultural communication skills. Georgia College sponsors students on F-1 student and J-1 exchange visitor visas. 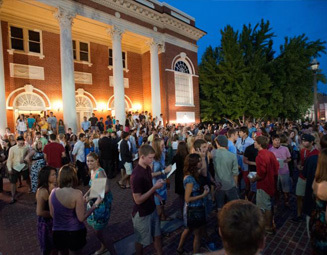 The university's residential campus offers an extensive array of extracurricular programs, including more than 150 student organizations, intramural sports, community service opportunities, study abroad programs, and internships. The International Club is one of the largest and most active clubs on campus and represents more than 40 countries. Half of the membership is comprised of U.S. students, creating many opportunities for cultural exchange. The club plans weekend activities and excursions to nearby cities and coordinates the annual International Day and International Dinner celebrations on campus. Some graduate programs have earlier deadlines. Please refer to the specific program information.